As seen in Corvairs & PARTS! For Sale Mega-Thread Updated Daily! WITH PICTURES!! This 1966 Custom Corvair go my attention. I posted the information and additional photo's in the "Photoshop?" thread [corvaircenter.com] but thought I would bring it to your attention here for discussion if you so choose to comment. This is a link for the ad. Edited 4 time(s). Last edit at 11/01/2018 09:56PM by MattNall. It’s real and was recently bought from one of our club members by one of our club members. It’s a nice car for sure! Edited 1 time(s). Last edit at 11/01/2018 04:15PM by MattNall. 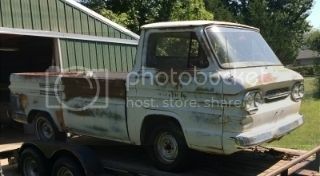 Re: For Sale on craigslist as seen in Corvairs & PARTS! For Sale Mega-Thread Updated Daily! WITH PICTURES!! As Chris stated this car is for real (and real nice). I saw it at the Roundup in Wichita. One of the things I alway's liked about the LM 2 doors was the amount of glass area, so I am not a huge fan, but I do like the mods, Everything appears to be well done. What I do like is that it kind of makes you look at it! According to the craigslist post, the car was just advertised yesterday. The seller claims to have had it for at least three years. Not sure what is up with the Craig's List postings. But a HACOA member put it up for sale awhile back (he had it for 3 years) and it was sold to another HACOA (and phorum member) a few weeks ago. It is a super car and has gone to a great home. Turbo with AC! I love it. Ad is already removed from CL. It is a Frank Regal car, and, it has heat now! I saw this car in person at the Corvair Track Classic this summer. It is BEAUTIFUL! I also saw it as a young child, at a Convention (1987 Chicago, maybe) - when it still had fender skirts and a continental kit. 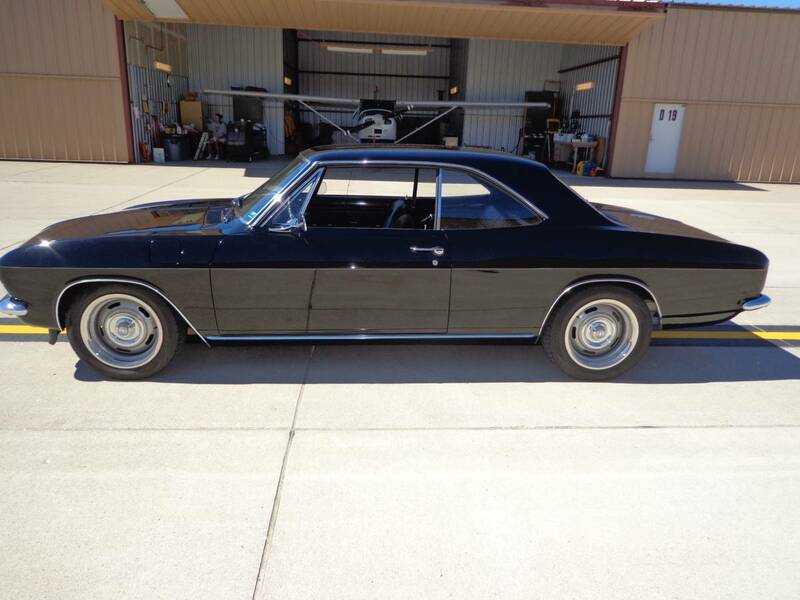 Lots of custom touches on this one - like the sedan roof, but still has the coupe windows / drip moulding! on it in the pic. Beautiful car we here in CCE watched Frank build it a true craftsman/artist. He did my spyder over 20 years ago still looks great.He is still doing limited body work and paint here locally. Do have any pictures of the build? Gotta ask the question: Whats wrong with it, that its such a hot potato??? The gentleman that bought it a few years ago is retiring to Florida and selling off all his Corvair stuff. Sorry Larry I have no pics of the build I'll ask Frank next time I see him.